CLO’s blogger argues that learner leaders should be looking for minion-level energy, not engagement. 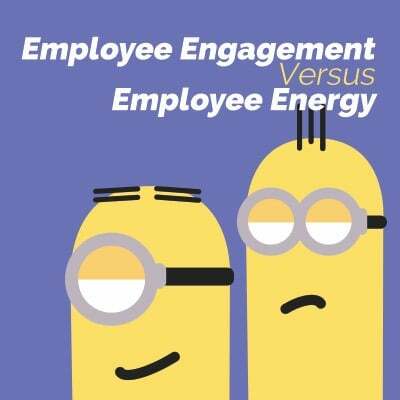 Forbes contributor Liz Ryan defines employee engagement as “the employee’s connection to your mission,” which I think perfectly ties into Everson’s description of the minions. The minions feel connected to their leader’s mission, which is what gives them their energy. So How Do You Achieve Employee Energy AND Employee Engagement? Everson points to the importance of communication. “For your employees, it might be a kind word from the boss given at the right moment—even more of a reason to teach managers how to identify opportunities to express those magic words of ‘thank you,” she says. It doesn’t have to be a high-level manager thanking a subordinate either. Friendly communication between peers can increase the overall energy of the office and unite your team. A learning platform like CourseMill® Wave that lets your employees quickly and easily share content and resources with each other can help increase energy and morale. For example, I have a proofing guide that I reference for all of Trivantis’s communications pieces. I could hoard this guide for myself and let people keep asking me “What’s the correct way to use a registered mark in this piece?” or “Do we use the Oxford Comma?” or “Wait, what IS the Oxford Comma?” Alternately, I could put this document up on CourseMill Wave, so all my coworkers can access it and answer these questions on their own. And then others could add to that knowledge base. Our graphic designer could put together a style guide of the specific fonts we use on our website, so everyone knows which fonts are okay to use or not. I feel engaged because I contributed to the knowledge base on CourseMill Wave. My coworkers’ engagement increases too when they access my file. In doing so, we are helping each other put together a more professional-looking product, and helping our company. Which makes us more energetic—and our manager much happier. And then we can all run around like minions. Wait no, that’s not professional. Your office might not need a proofing guide, but that’s the beauty of CourseMill Wave. You can share pretty much any file type through CourseMill Wave. What would you share? Want a lively workplace—and maybe a minion or two? Then focus on your engagement and energy levels!